Recently, we had quite a snow day here. Several inches of snow and harsh winds meant that we stuck close to home all day. Those kinds of days are perfect for a little baking project. 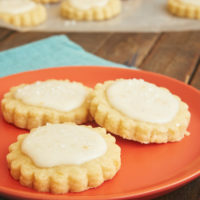 I love snowy weather, and it’s made even better with some homemade treats. 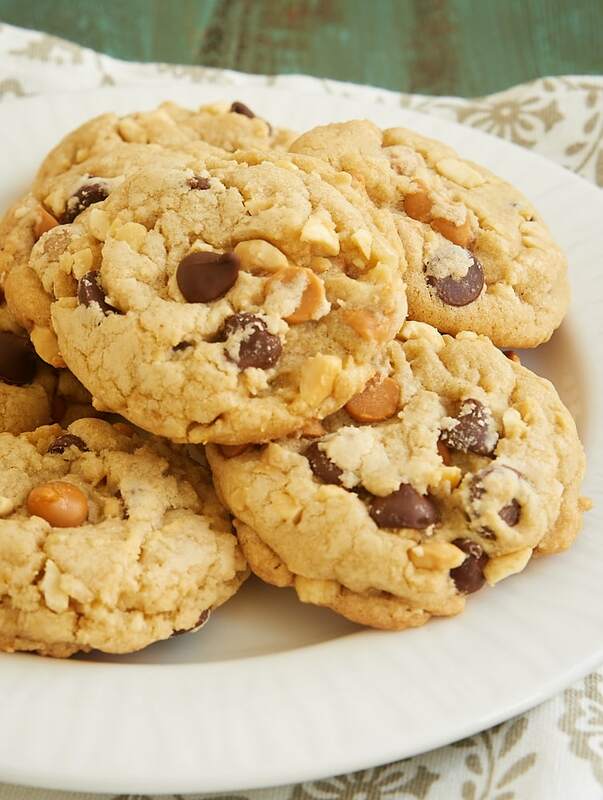 Making use of the ingredients in my kitchen yielded these Butterscotch Peanut Chocolate Chip Cookies, which are a fantastic twist on traditional chocolate chip cookies. 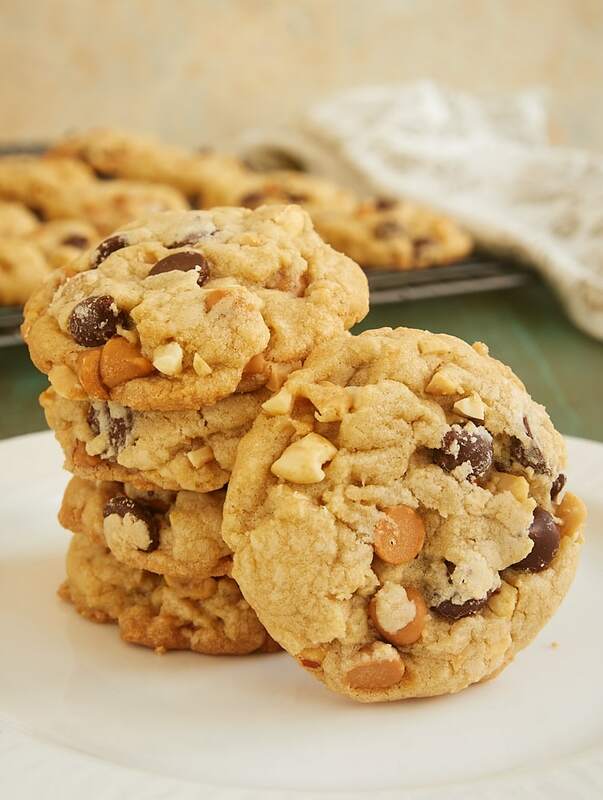 The sweetness of the butterscotch and the crunchiness of the peanuts are perfect companions to the always welcomed chocolate chips. Of course, you can always substitute another flavor for the butterscotch chips. 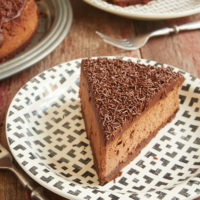 How about peanut butter chips, caramel bits, or more chocolate? 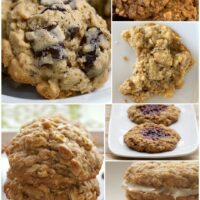 These cookies are infinitely adaptable to your tastes or to what you have on-hand. 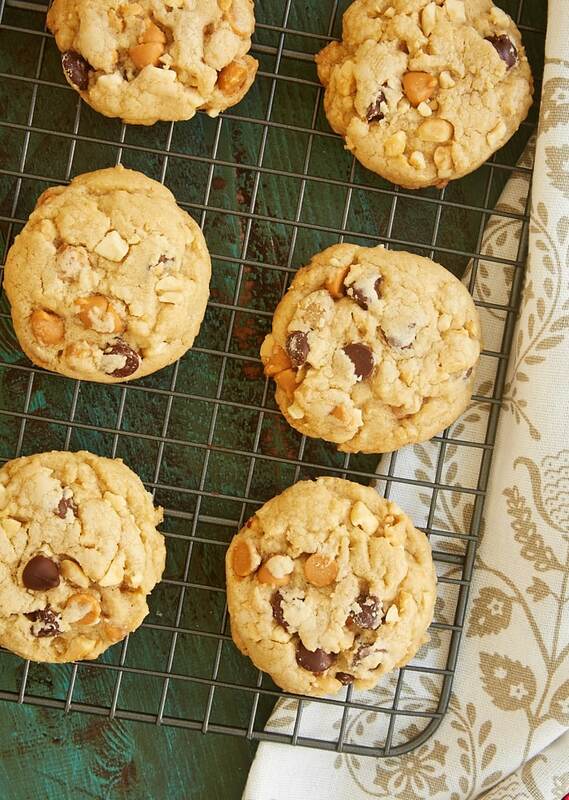 Don’t wait for a snow day to bake a batch of these tasty cookies. Take any excuse you can! 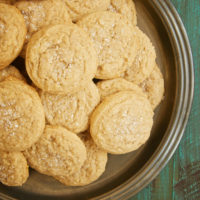 What better way to turn any old day into a special one than with a batch of homemade cookies? 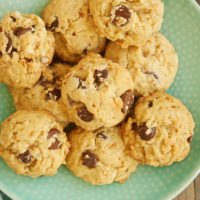 And, don’t forget that you can freeze the cookie dough for later so that you can enjoy freshly baked cookies any time! 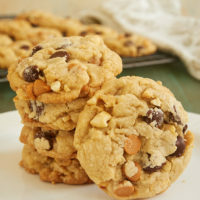 These sweet, nutty Butterscotch Peanut Chocolate Chip Cookies feature an irresistible delicious combination of flavors! Reduce mixer speed to low. Gradually add the flour mixture, and mix just until combined. 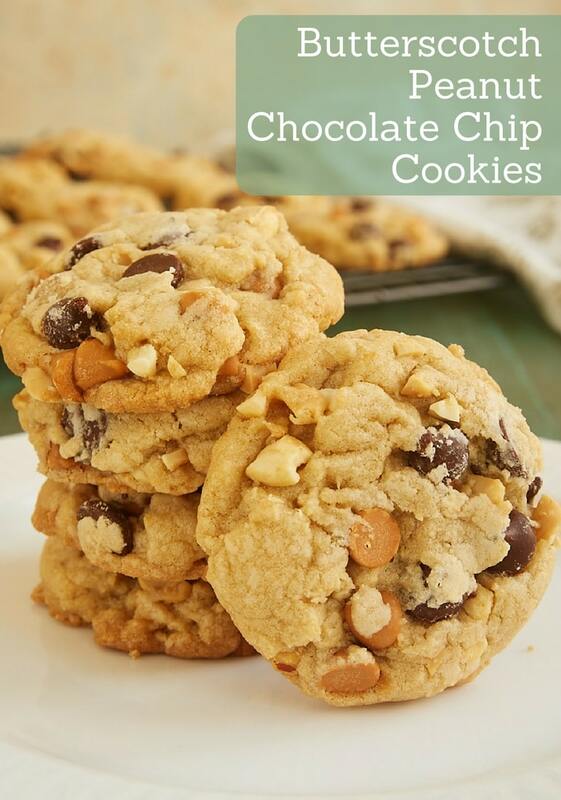 Stir in the peanuts, butterscotch chips, and chocolate chips. Drop the dough by 2-tablespoon portions (a cookie scoop works wonderfully) onto the prepared pans. Flatten the top of each cookie slightly. Bake, one pan at a time, 12 to 14 minutes, or until the edges are lightly browned. Keep the dough refrigerated between baking batches. 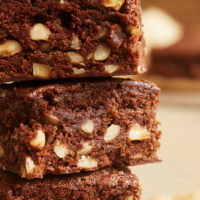 Would it be possible to add oatmeal to these,if so ,how? You could try using half the flour and adding about 2 cups of oats.